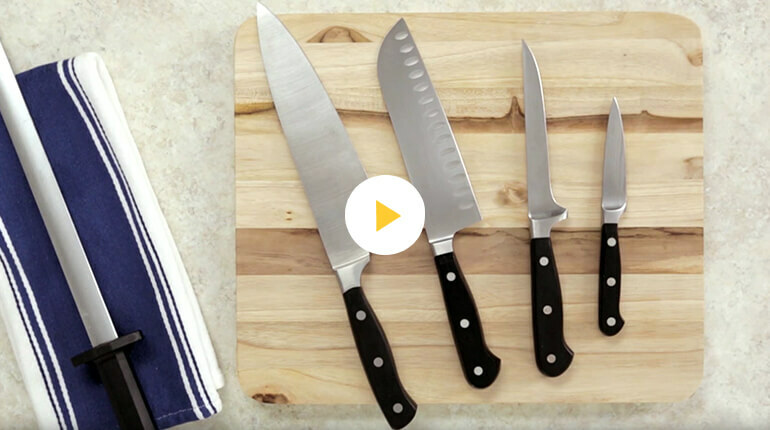 How To: Knives and Boards Kitchen confidence starts with knowing the tools. Kitchen confidence starts with knowing the tools. Plastic boards are ideal for raw poultry because they are dishwasher-friendly and can be washed/sanitized with strong cleansers. Never put wood boards in the dishwasher. Do not let your board (wood or plastic) remain dirty for long after use, as it will become harder to adequately clean and may become damaged.